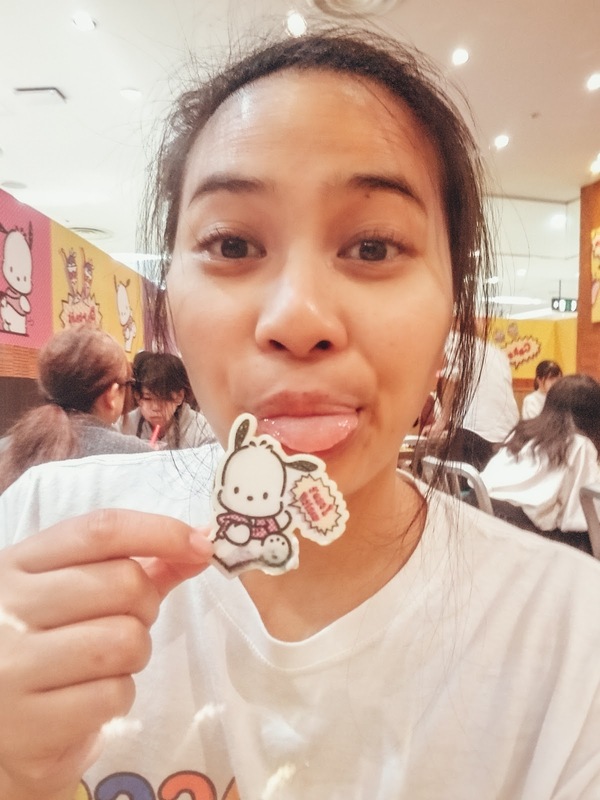 Greetings blogging world! 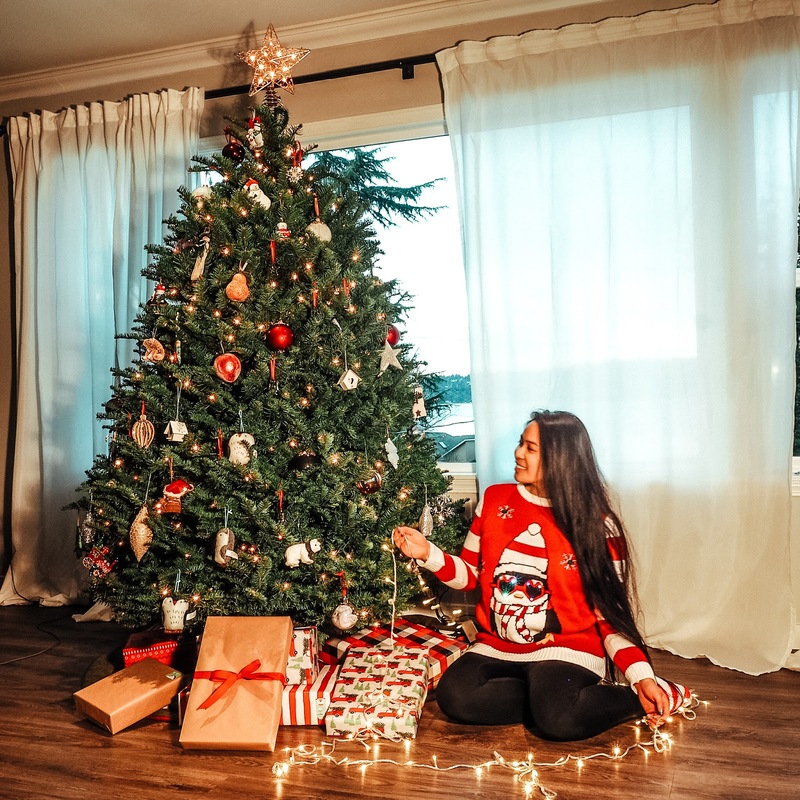 I know it's been awhile since my last post, but to keep it short and to the point, today I am sharing some of my favorite holiday/ugly sweaters and my favorite places to shop for them! 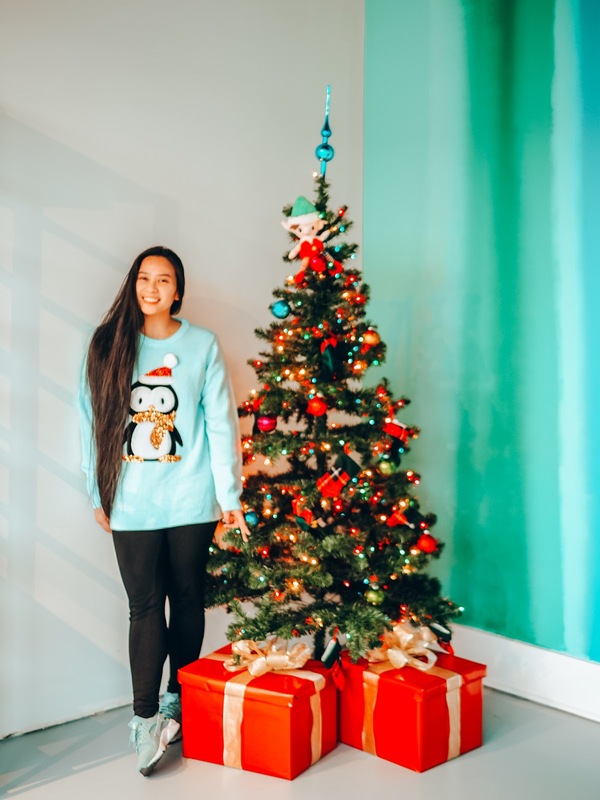 Christmas is one week away and there's still time to get your sweaters if you haven't yet! Each year, I like to go to Value Village for their holiday items. They have a great selection of holiday specific items, including holidays such as Halloween, Valentine's Day, etc. 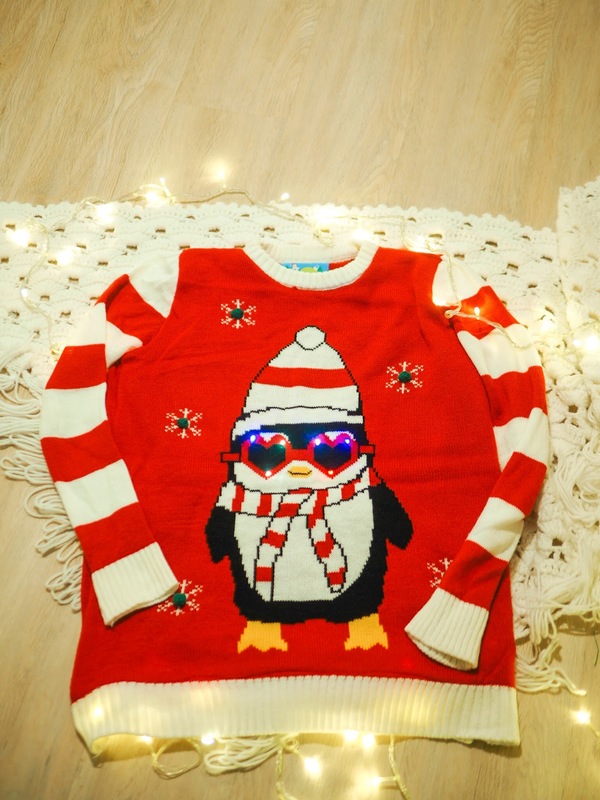 This year, I found this amazing light up penguin one where the heart sunglasses light up. They had tons of other sweaters too (light up and regular) and in general is one of my favorite places to thrift. Marshalls is probably one of my favorite shops and during this time of year, they tend to have loads of holiday items from clothing, snacks, gifts, and more. 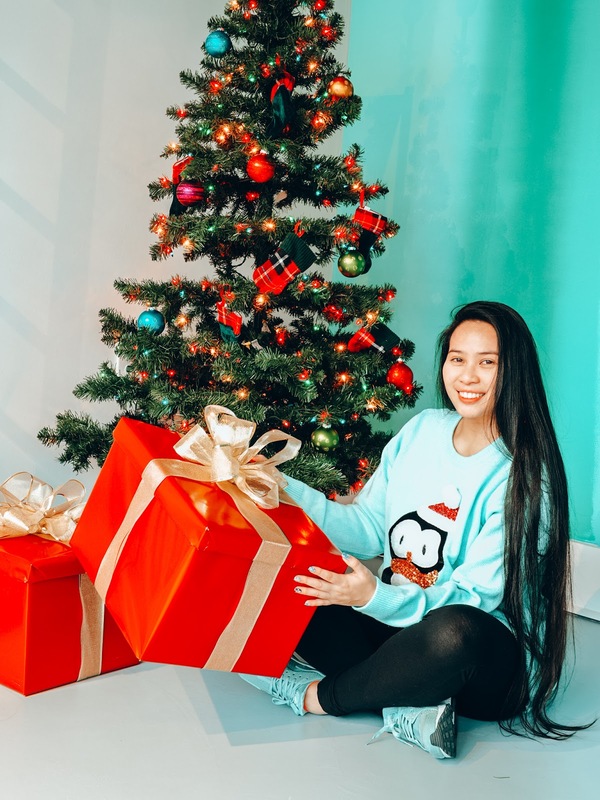 If you can't tell by now, I'm a bit obsessed with the holiday penguins as you can see from the additional penguin sweater here as well as some other penguin items such as these gift bags. I went into Marshalls just yesterday and they still have tons of holiday sweaters. I recommend checking out your local target to find something for you! 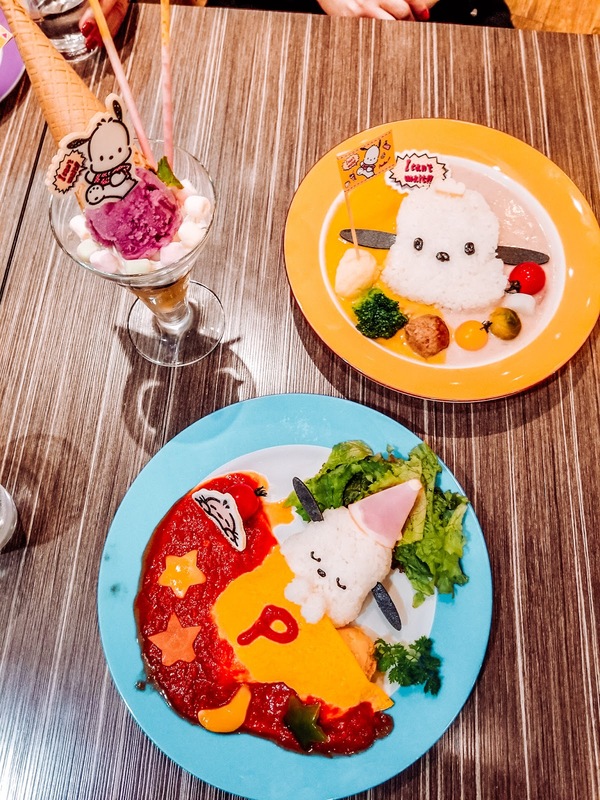 Box Lunch is definitely a newer store but one of my favorites since they carry exclusive items that are basically all from my childhood including Sailor Moon, Kingdom Hearts, Dragon Ball Z, and more. 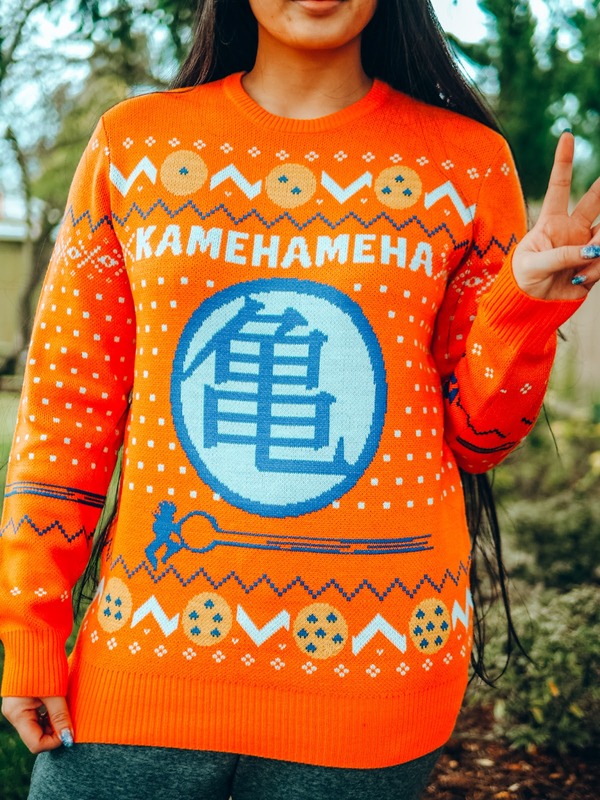 They have an amazing range of items, including this Kamehameha turtle DBZ sweater. 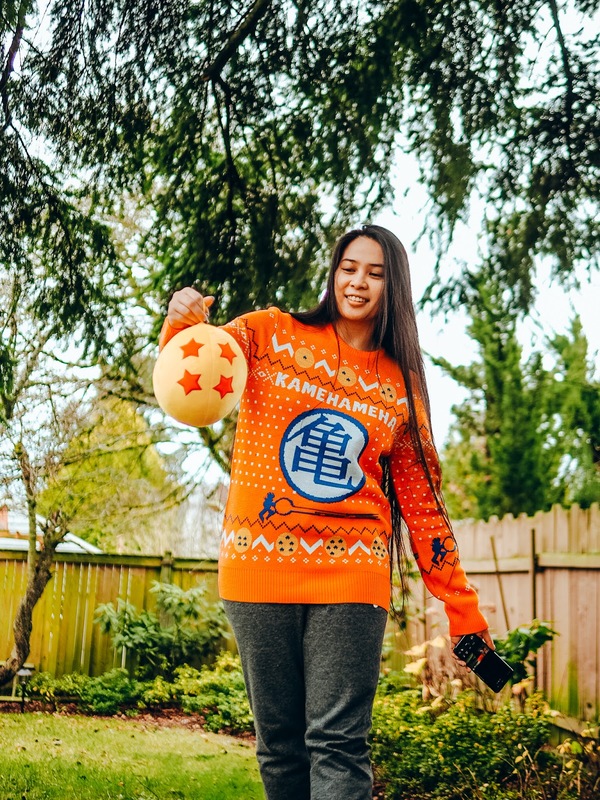 I love that it has holiday elements but still keeping true to the DBZ feel! 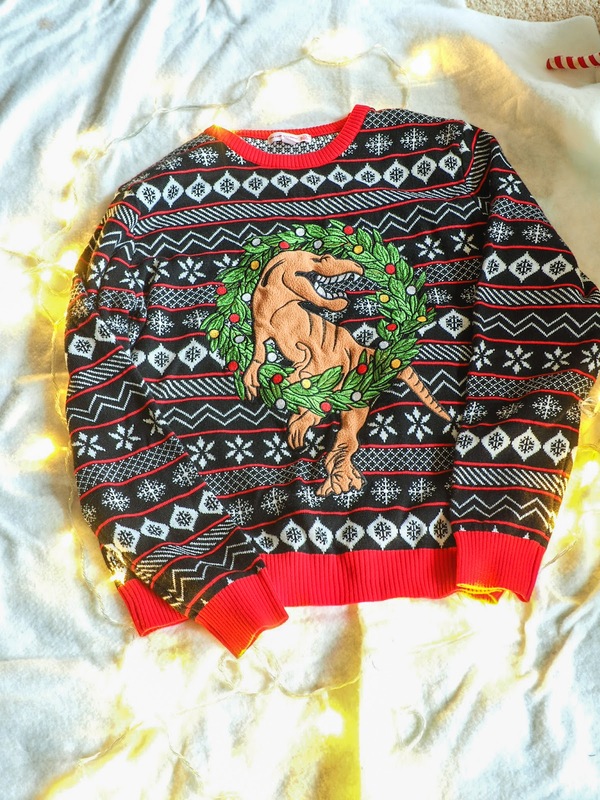 You can find this exact sweater HERE. 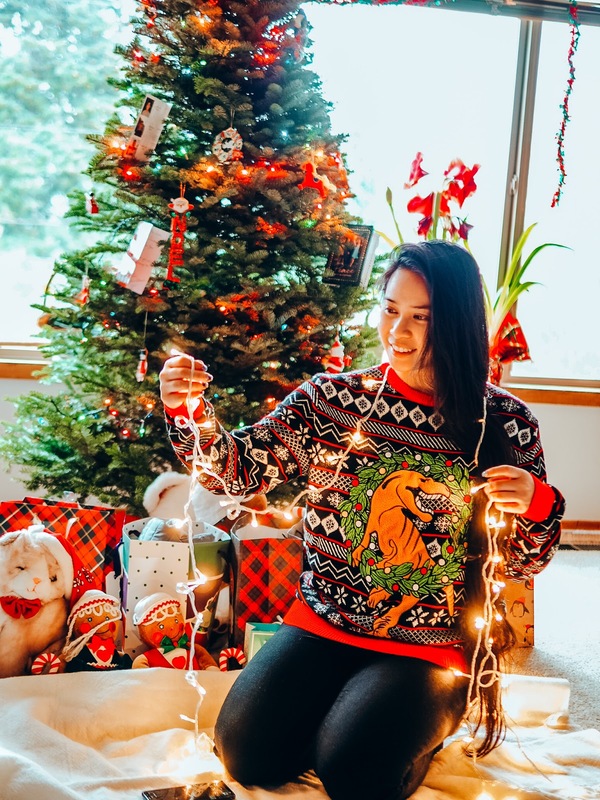 Last but not least is Amazon, one of the easiest places to locate holiday sweaters since all you have to do is have internet access. 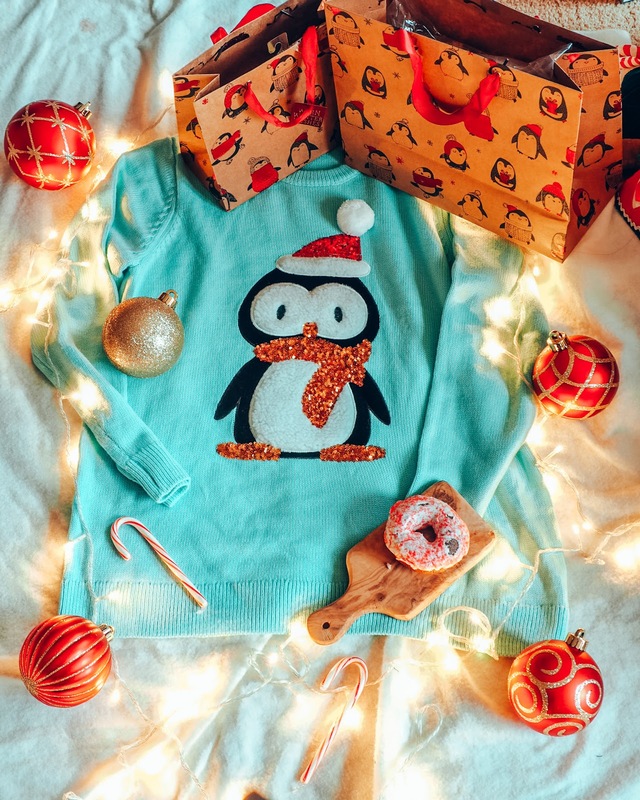 Type in Ugly/Christmas sweater and you have tons of options at your fingertips. 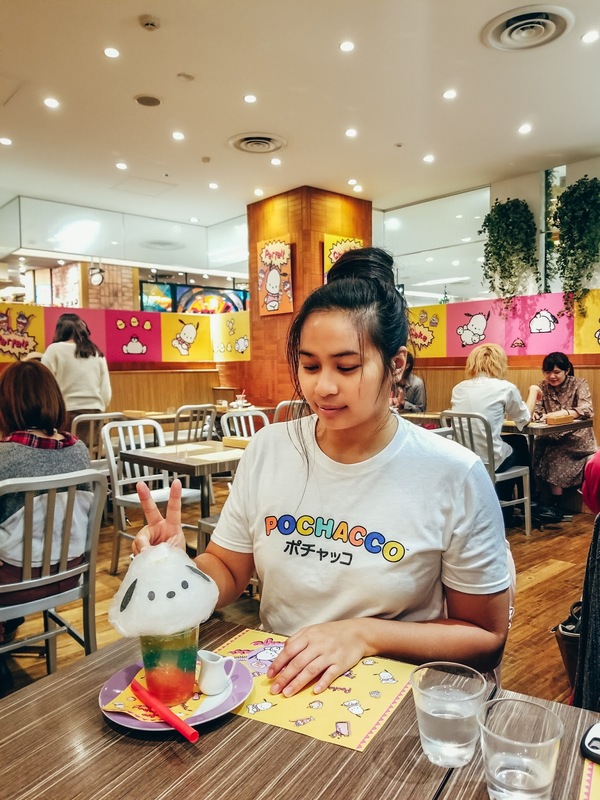 There are two pieces I want to share specifically, this dinosaur sweater I'm wearing currently and then of course, a Gudetama one (shown below) that I'm waiting for in the mail! 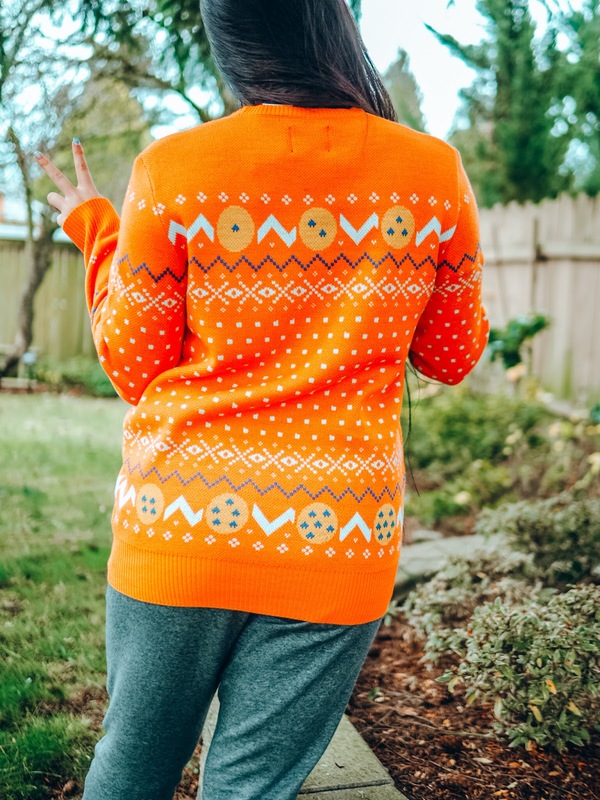 I've also linked a few other favorite sweaters that are similar to the ones mentioned above as either I can't find them online or they're sold out. 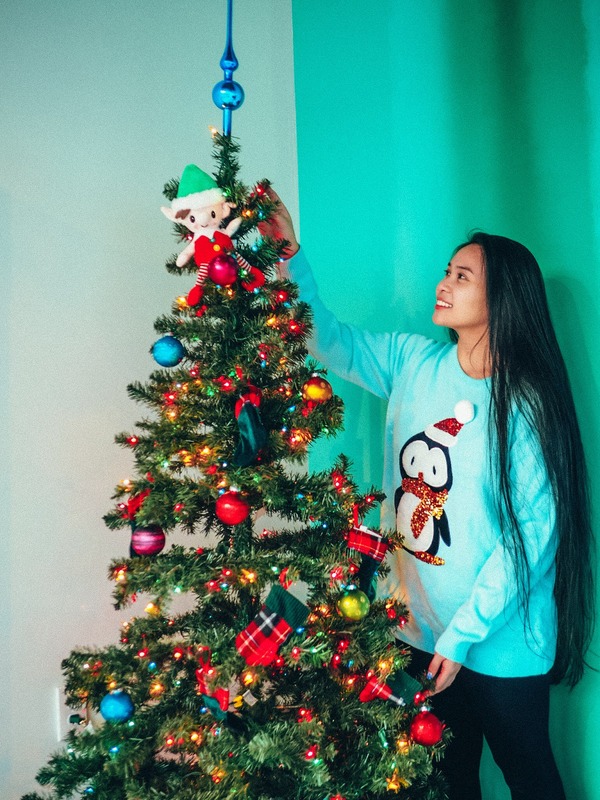 Do you like finding fun and unique holiday sweaters? 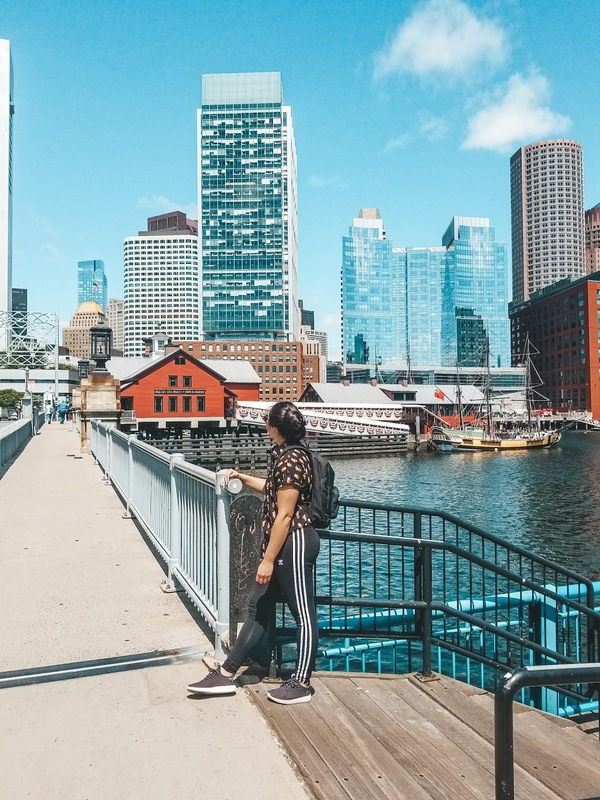 Where are your favorite places to find them? Let me know! 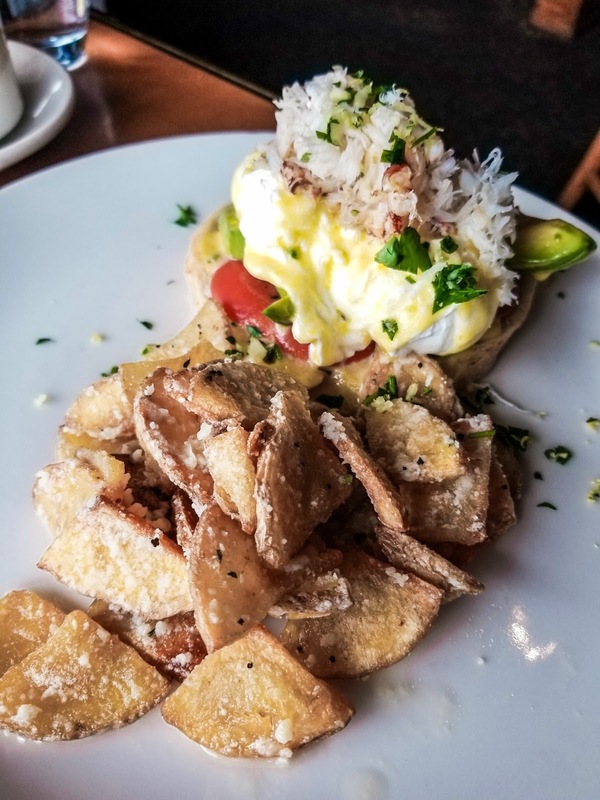 This past weekend, I had the opportunity to enjoy brunch at Stanley and Seafort's, a steak, chop, and fish house located in Tacoma, WA. 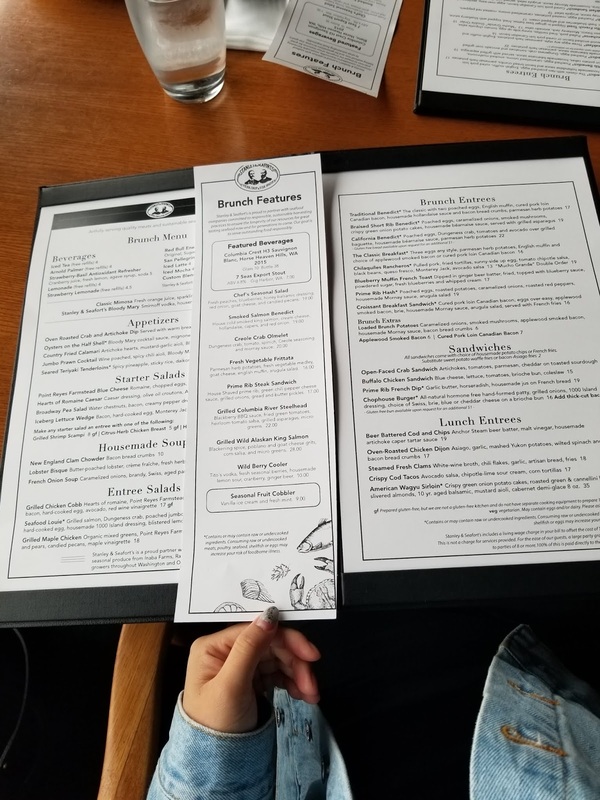 I came hungry and prepared to eat, not knowing what to expect from the menu as I wanted to surprise myself before going. 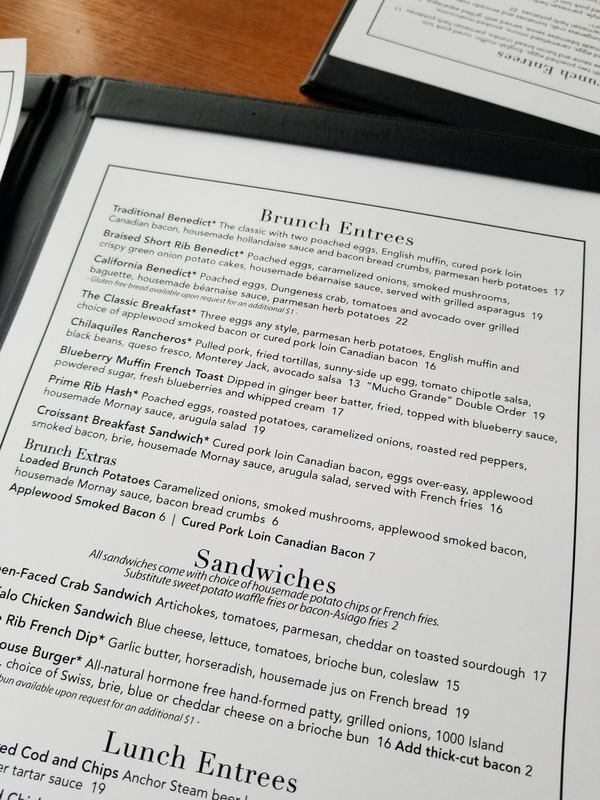 There was a great selection of items to choose from on their brunch menu, especially items involveing seafood. 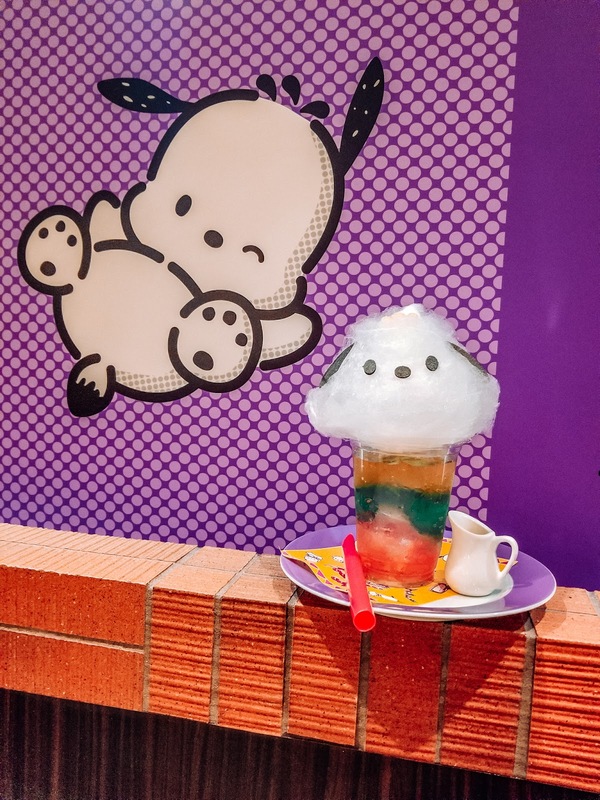 I was able to bring a guest so I was able to order a few items to try! 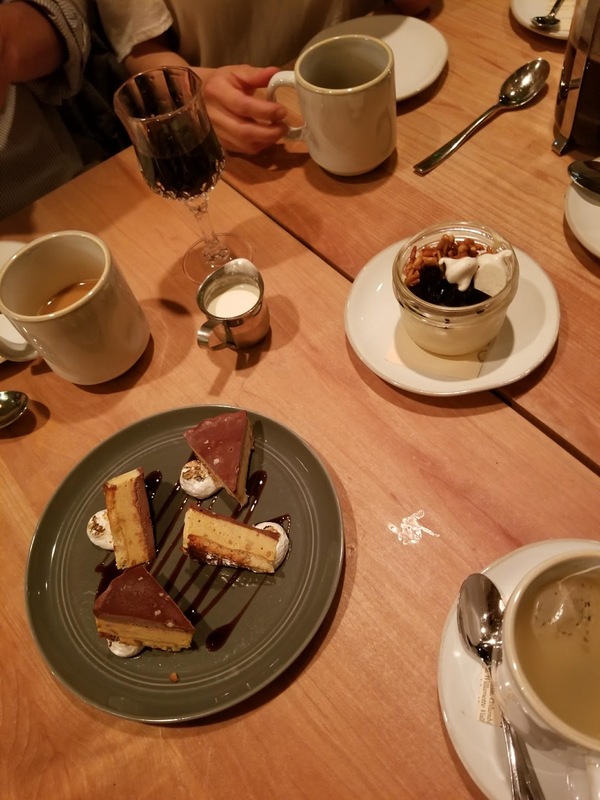 On the list was: Lobster Bisque, Seared Teriyaki Tenderloins, California Benedict, Prime Rib Hash, Blueberry Muffin French Toast, and some dessert too, of course! The Lobster Bisque was probably one of the best I've had. It was incredibly creamy, not too salty, full of lobster flavor of pieces as well. It went well with the toasted rosemary cibatta bread as well. 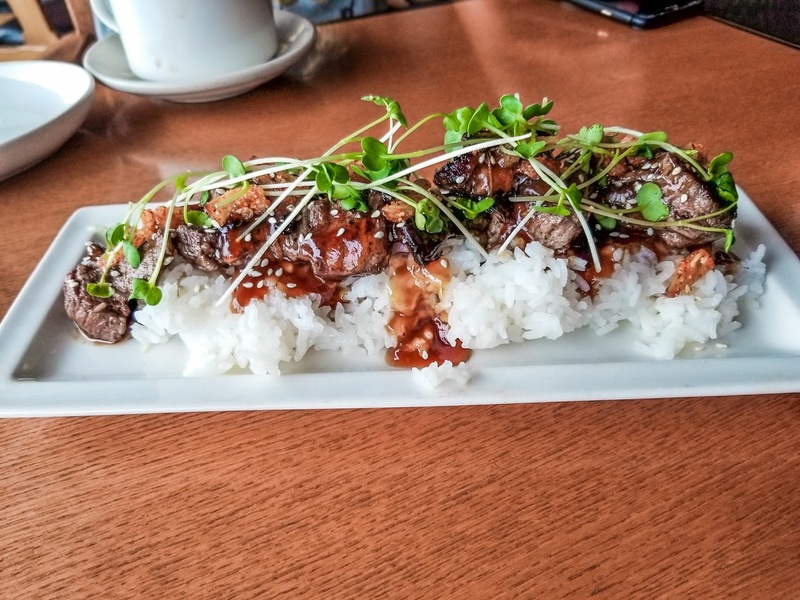 This was the Seared Teriyaki Tenderloin using Fillet Mignon that was cooked to perfection. The sauce and dried pineapples were a little overpowering for me, but overall still tasty dish. When it said 'sticky rice', I thought it was more so the Thai Style glutinous rice vs. sushi rice which was still okay but I didn't eat much of the rice anyways. 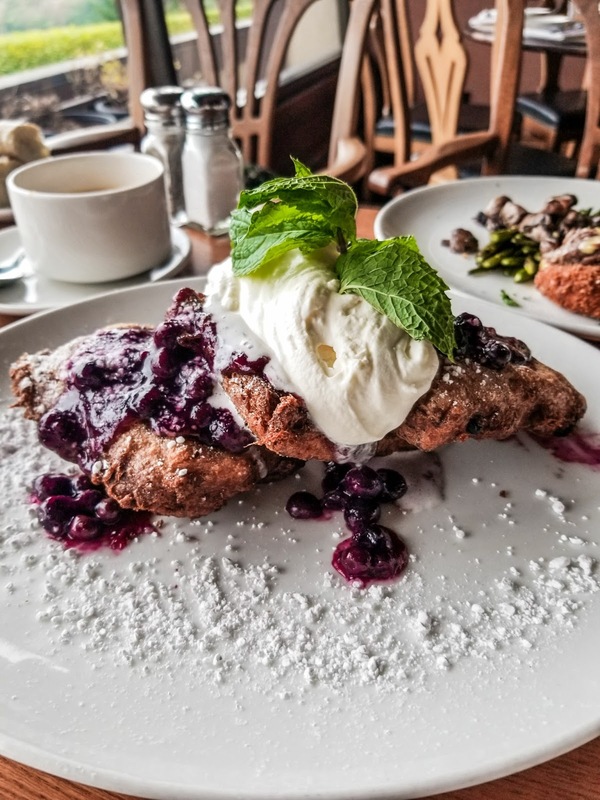 My friend and I split this Blueberry Muffin French Toast which was AMAZING! I've never had anything quite like this, or a muffin in this way, and loved how there was a nice crunch in each bite. I also liked that this wasn't too sweet. Definitely a fan of this dish and would highly recommend it! 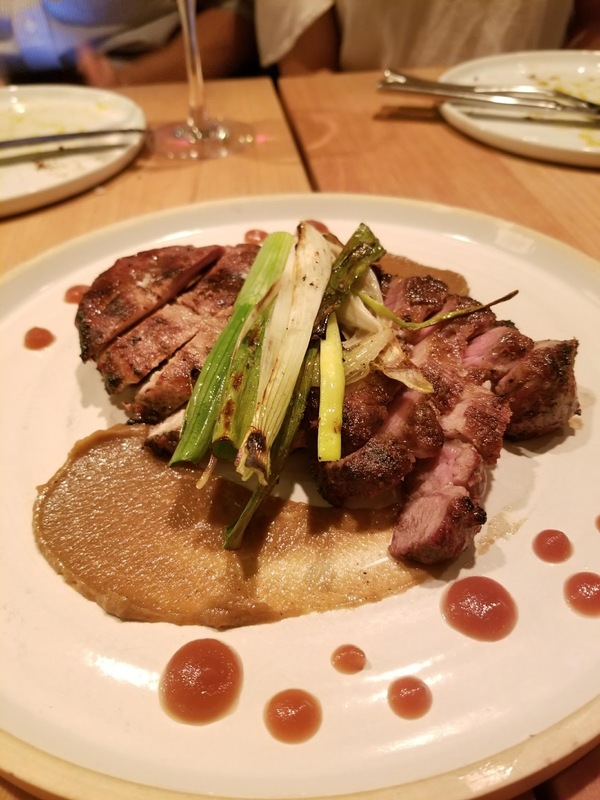 This Pork Rib Hash is what my friend ordered and though I didn't get to try it since I was too full from my own dish, she was very pleased and happy with this dish. The meat was cooked well and not chewy at all and it had overall great flavor and presentation. 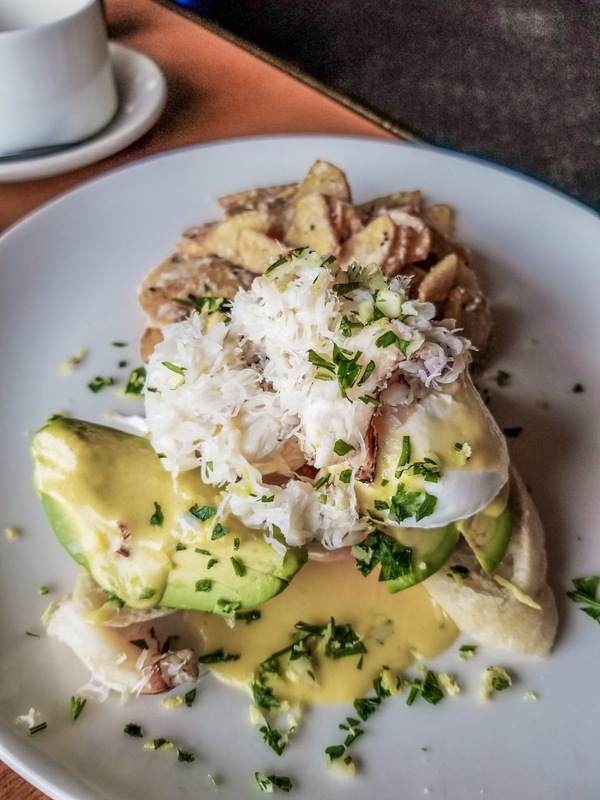 My entree of choice was the California Benedict with the best tasting sides of potatoes! 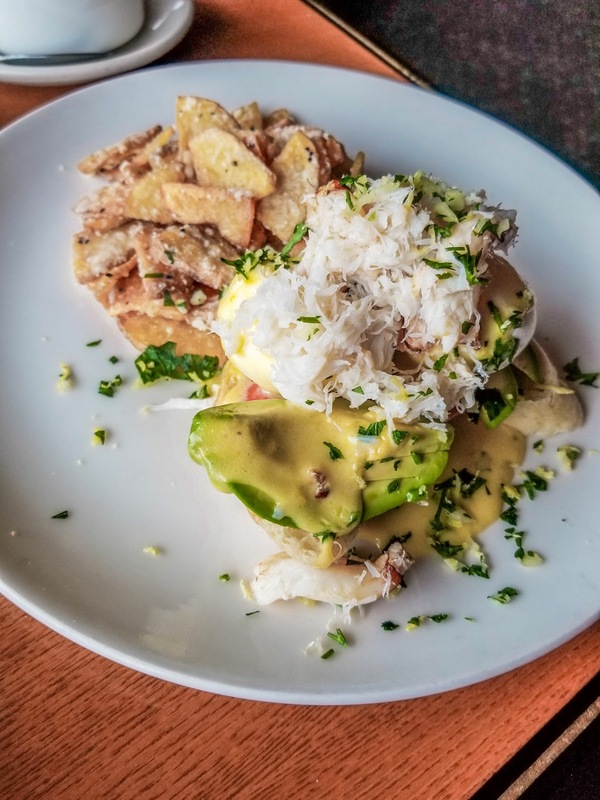 Not your traditional Eggs Benedict where they use an English muffin, they used a grilled baguette and topped it with poached eggs, tomato, avocado, and a generous topping of Dungeness crab. It's a classic with a twist and another dish I highly recommend. The potatoes also deserve their own shoutout - they were almost crispy like a chip, but not quite, and parmesan herb flavor that I couldn't get enough of. I'd go back just for these potatoes! 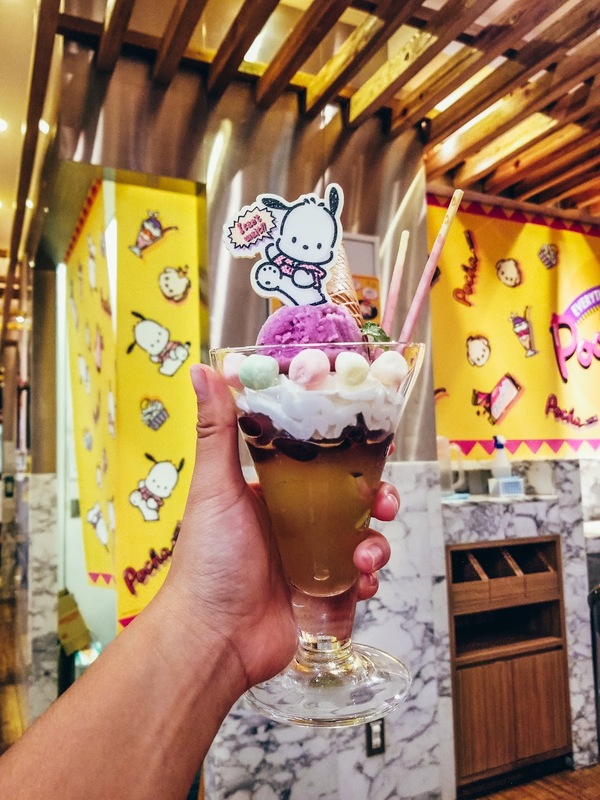 The last thing we had was dessert, because why not?! 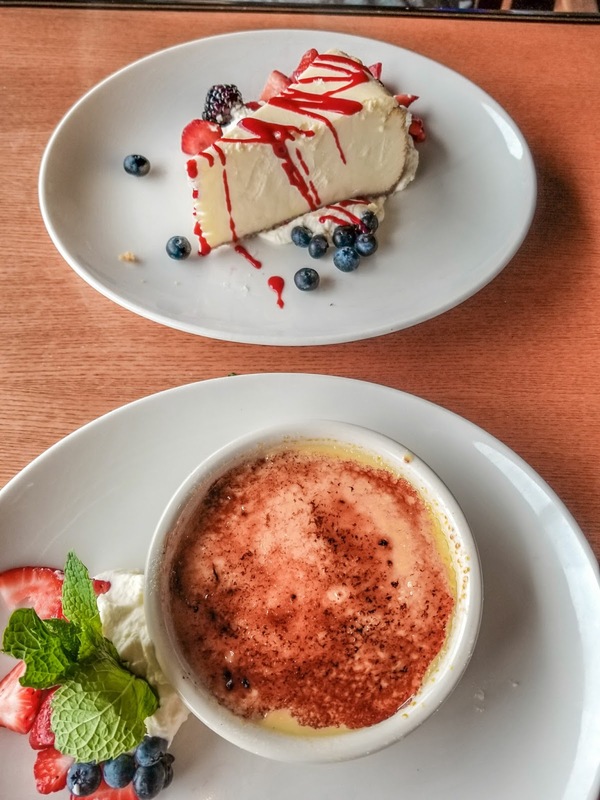 We choose the cheesecake and burnt cream (aka creme brulee). Nothing you can't get anywhere else, but still a nice end to a delicious meal. 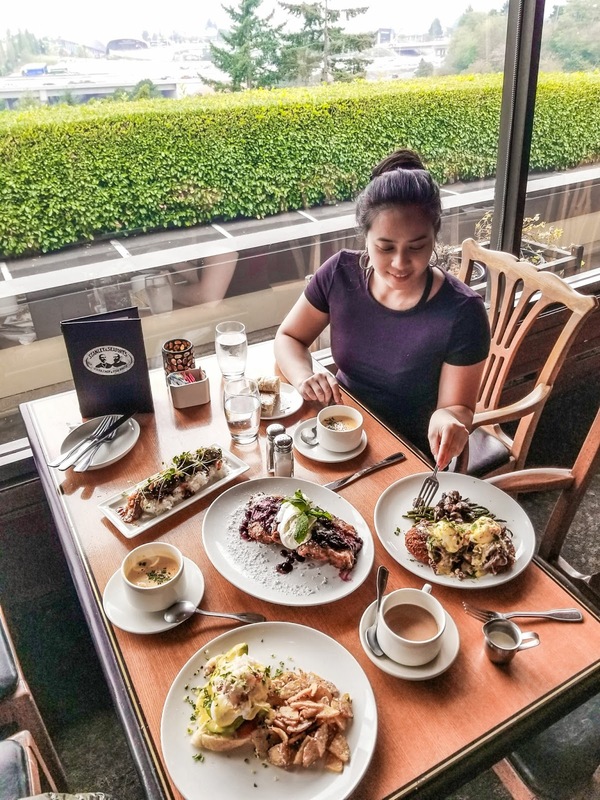 Overall, I had an amazing experience at Stanley & Seafort's and I would highly recommend coming here for brunch, especially earlier in the day when it is less crowded. The GM and staff were helpful and friendly, and you can also request a nice view of the city by the window while you're at it. 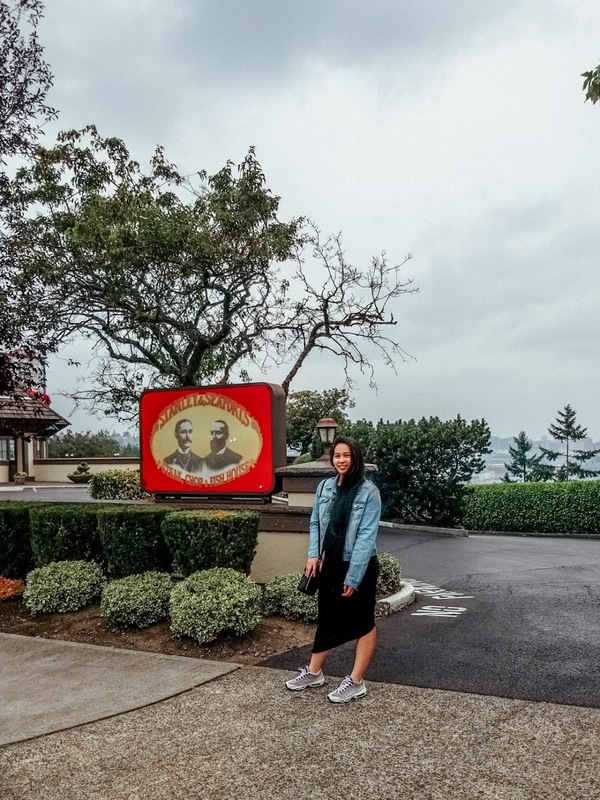 Thank you again to Brittany and the folks at Stanley & Seafort's for having me and giving me the opportunity to experience brunch at this beautiful restaurant! 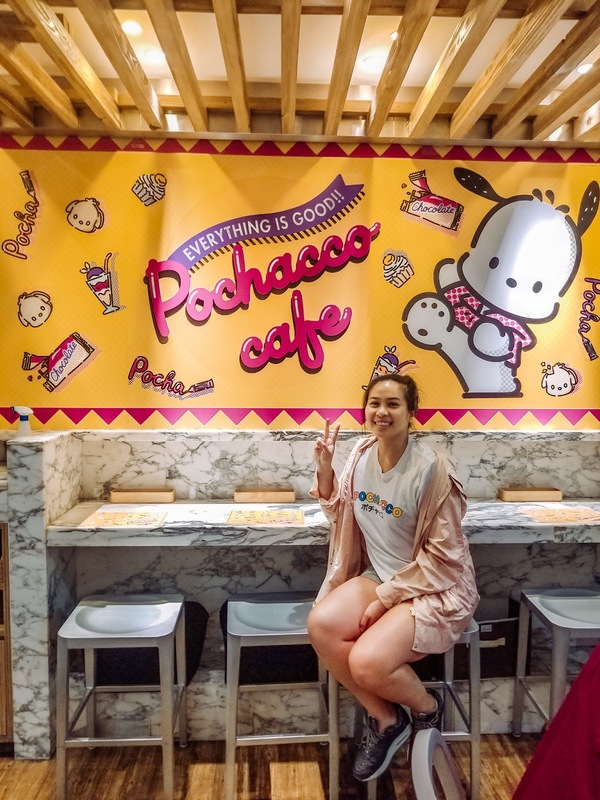 July 2018 | What have I been up to? I've been neglecting my poor blog for so long and know I've been pushing off a few posts. There is reason for that though as I have some exciting news to share! 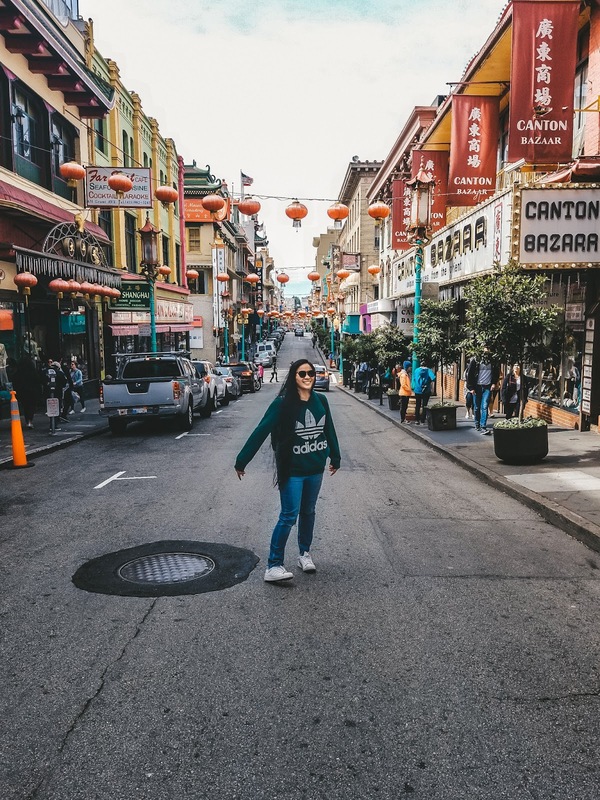 I went on a couple trips in June: Boston & San Francisco - will definitely share here on my blog! 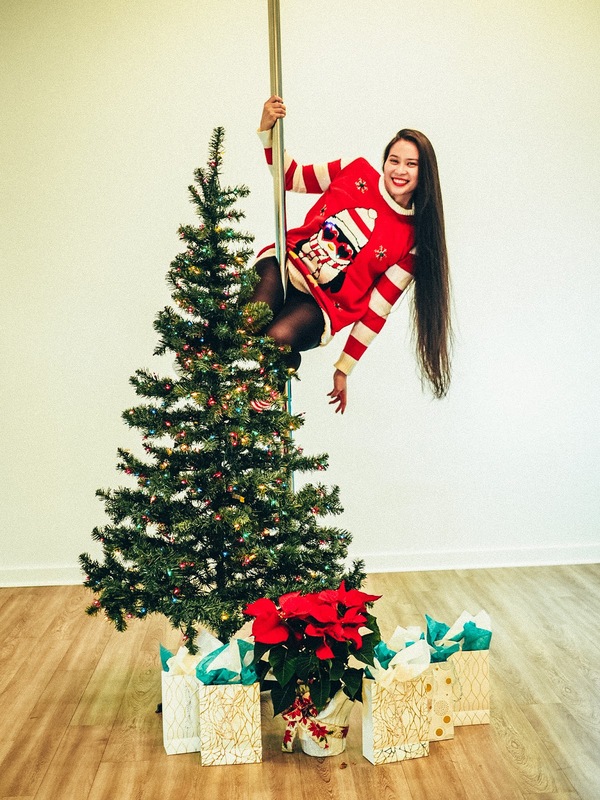 I'm part of an amazing group of people starting our own nonprofit studio: Ascendance Pole & Aerial Arts! I haven't made an official announcement on my channels yet but have posted snips here and there. I'm officially announcing my participation today as I have been heads down with the studio (outside of my daily work life) that's been keeping me busy these past few months. Everything moved quicker than anticipated and it's been nonstop since our official announcement. I'm leading the marketing for the team and will also be an instructor coming this fall. We're targeting an opening this September and are currently in the process of building out our studio space. 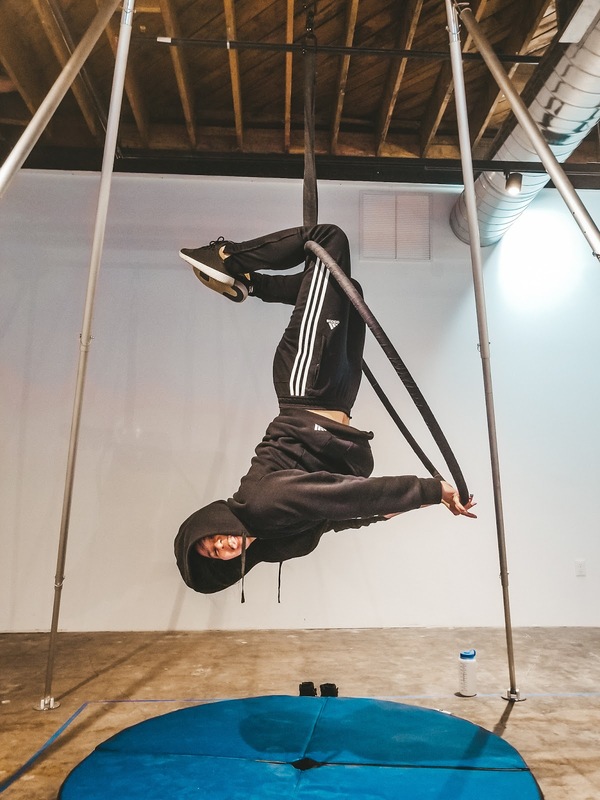 We'll have classes in pole, lyra, aerial yoga, and more! 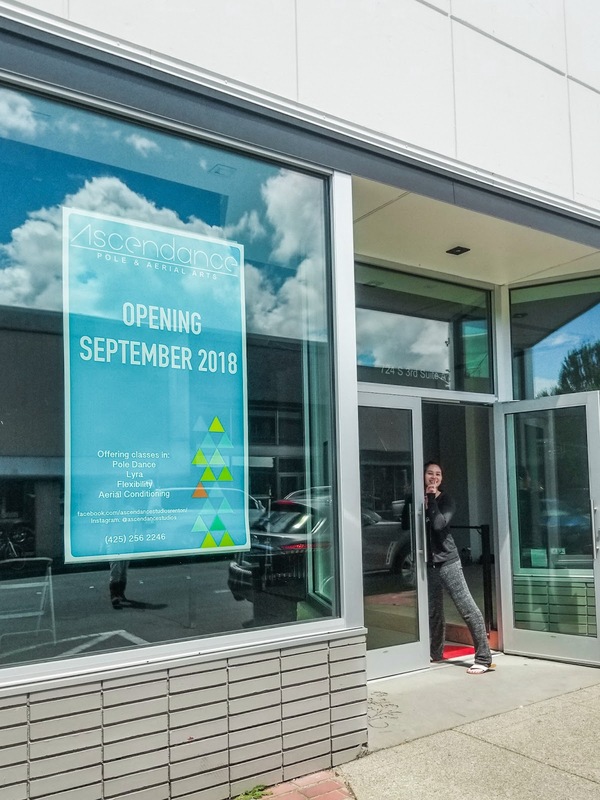 There's so much more to say about this amazing project and I can't wait to share even more with you all as we get closer to our opening. It's also been a good break as I developed tendonitis earlier this year and not poling has forced me to take care of it! 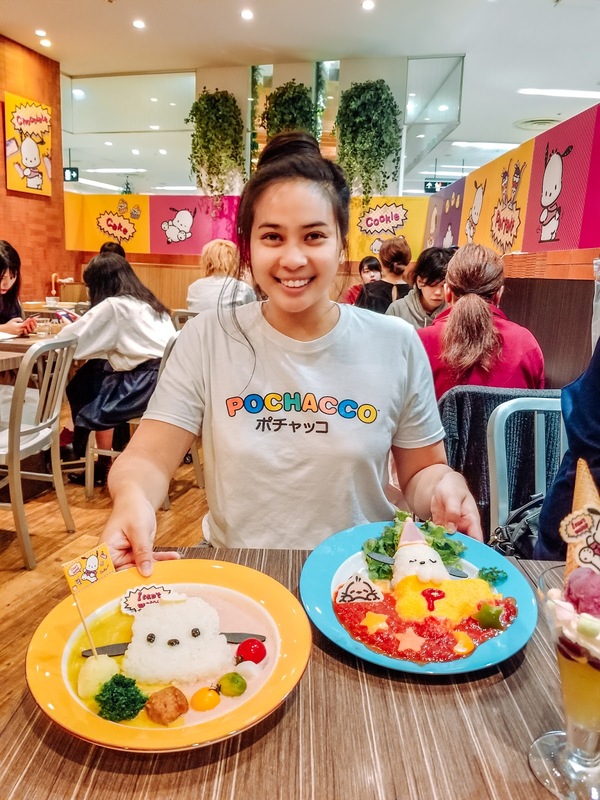 I'll try to be better about posting here and updating content, but I'm pretty active on my Instagram so so be sure to check it out to see what I've been up to (and eating!) haha. 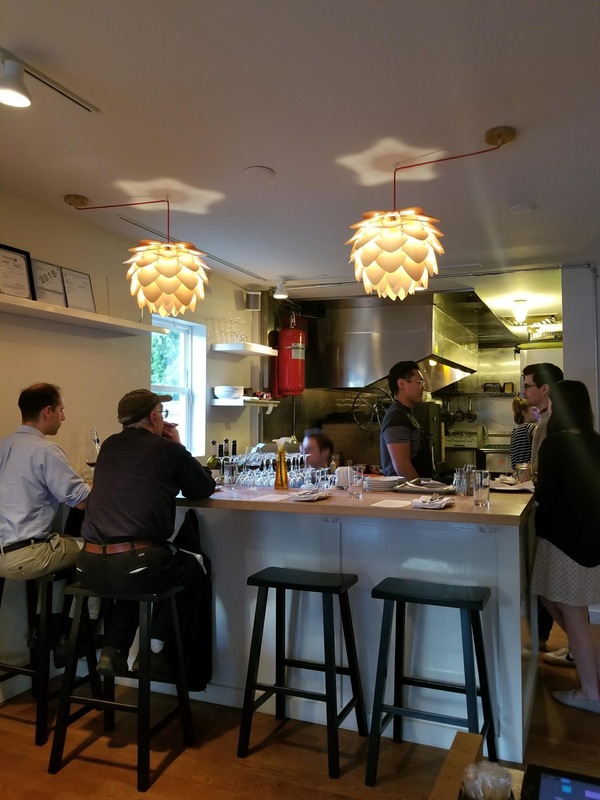 A Tasting Experience at Opus Co. 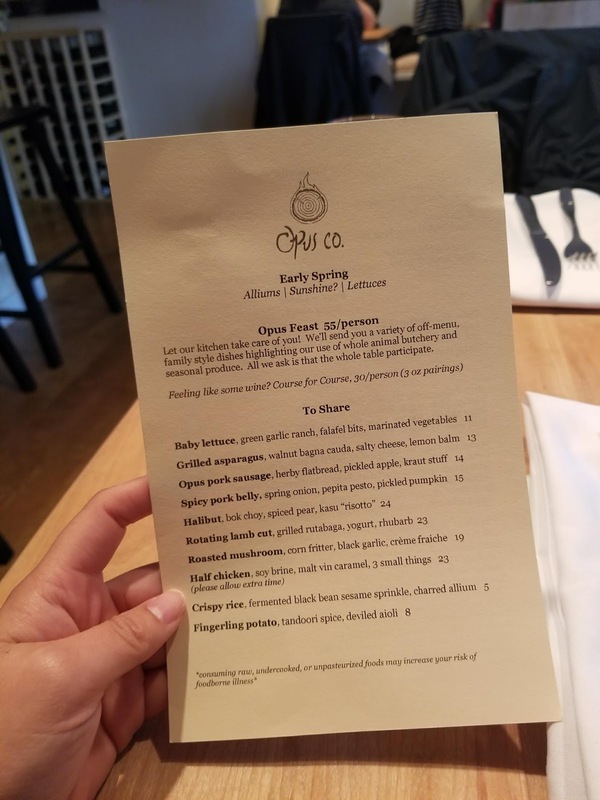 I've got another foodie post for you all, this time reviewing my recent experience at Opus Co. in Greenwood located in Seattle. 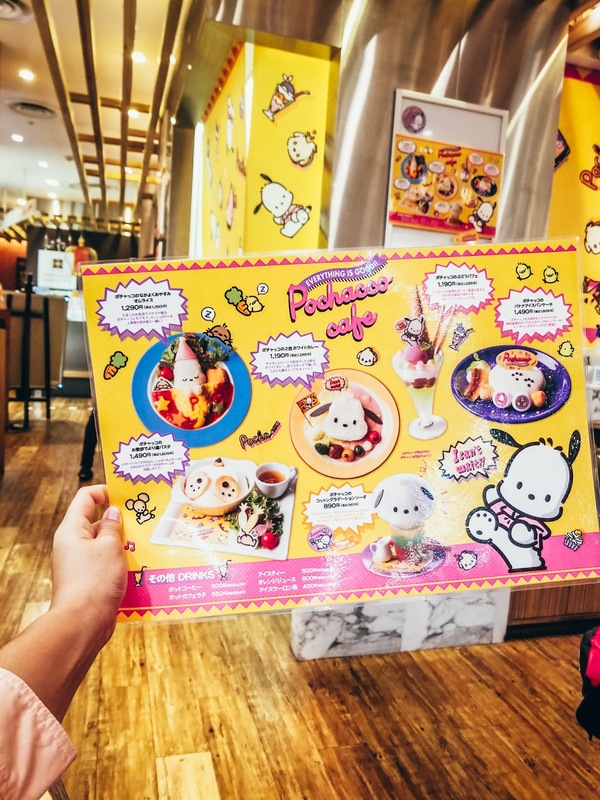 Whenever I go to a restaurant or look at their menu online, I like to see if they have a tasting menu, or chef's choice, as I feel that's one of the best ways to enjoy what a restaurant has to offer. Opus Co. has been on my list recently and I did notice they had their own sort of tasting menu, the Opus Feast, and for $55/person (which is very good for a tasting menu), we had to go for it! 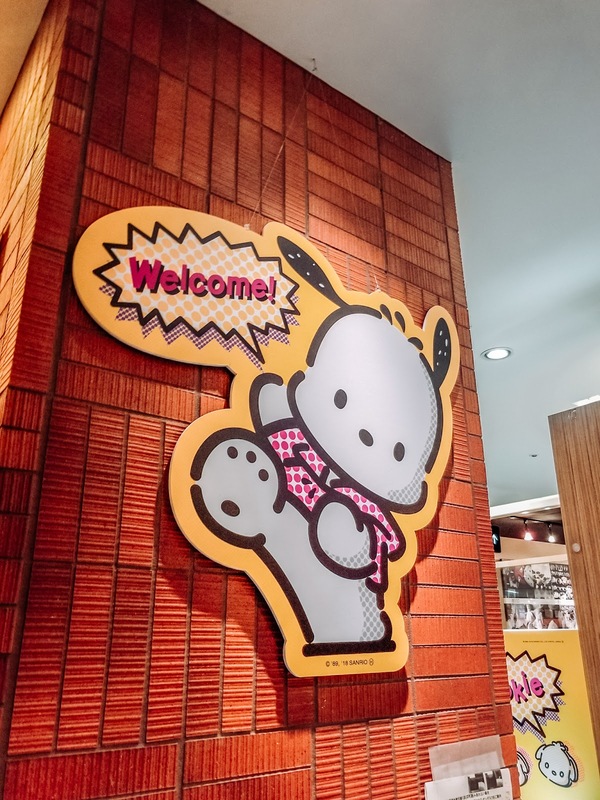 This restaurant caught my eye, mainly because a new friend from San Jose told me about it, but also because this restaurant sources locally and are seasonally driven. This place is much smaller than I thought it'd be so I would highly recommend making a RSVP. 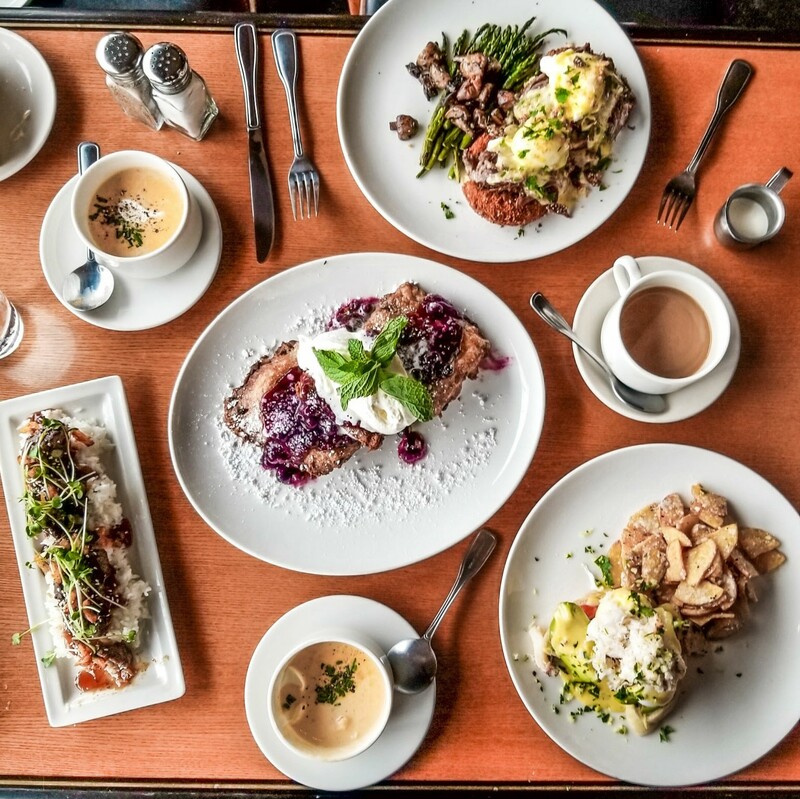 We sat down and ordered drinks and of course ordered the Opus Feast for the table. 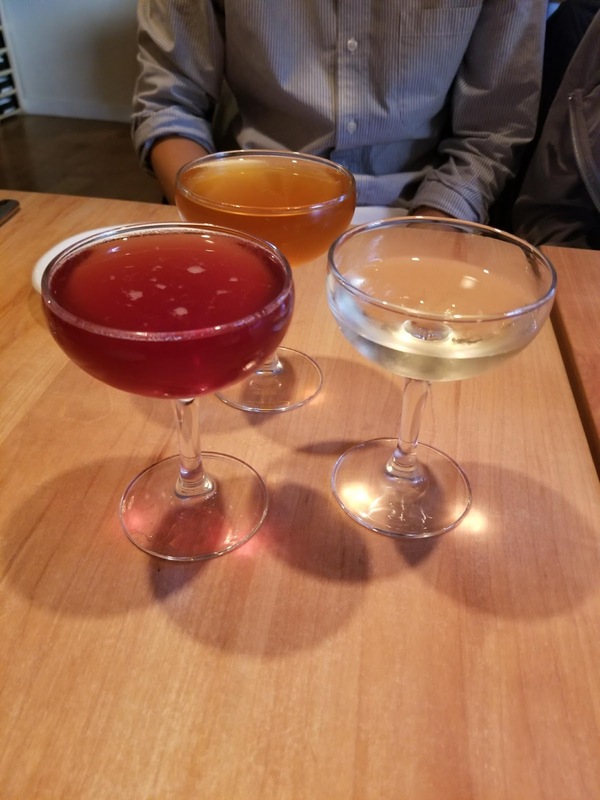 I would also recommend the wine pairing for an additional $30 as you get a pour for each course and get to sample local varietals. Our feast consisted of 8 different dishes which I'll break down below! 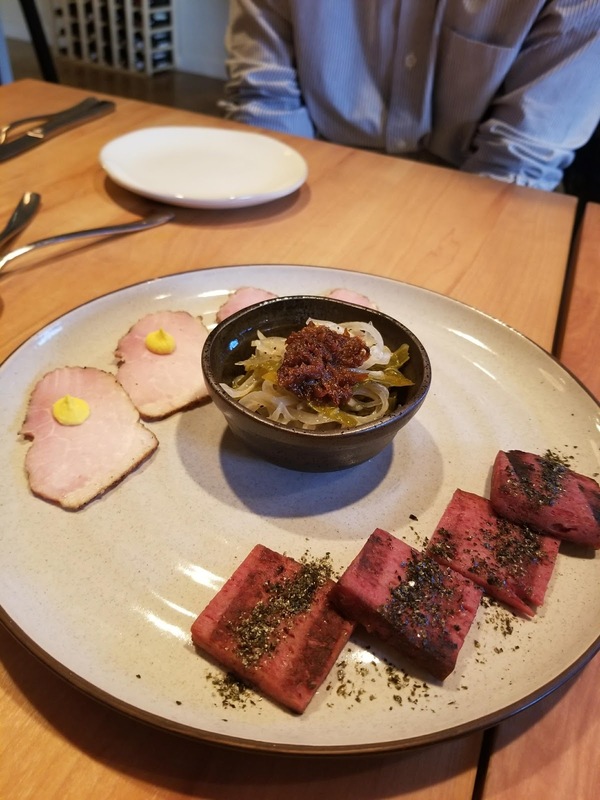 1) Lamb spam, smoked ham, pickled pork belly: I couldn't really tell that the spam meat on the bottom was made out of lamb but it was good either way. This dish reminded me of the traditional appetizers you get at Chinese restaurants for weddings or parties that serve the cold meats and jellyfish, but this time the jelly fish was a pickled pork belly of sorts with better quality meats. I enjoyed the smoke ham the most with the mustard on top. 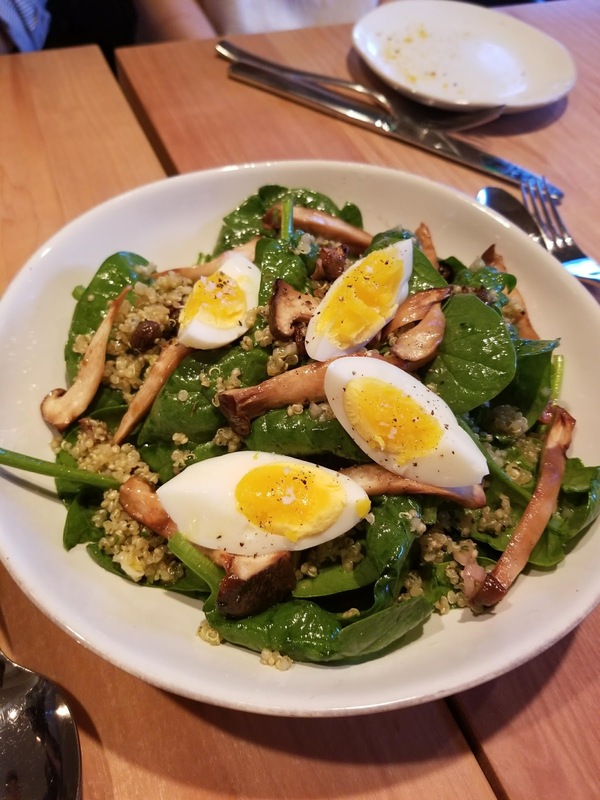 2) Spinach salad with sauteed oyster mushrooms, medium boiled egg, and quinoa: Everything about this salad was so good, even the taste/texture of the spinach. It felt like the greens were heartier. 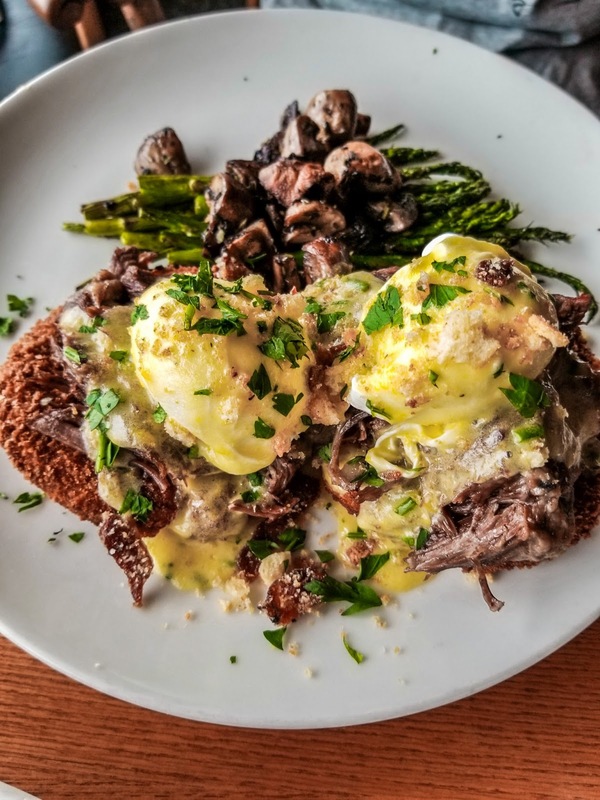 The mushrooms were sauteed in a sweet sauce and the dressing of the whole salad was on the tart side, so it made for a well balanced dish in flavor and texture. 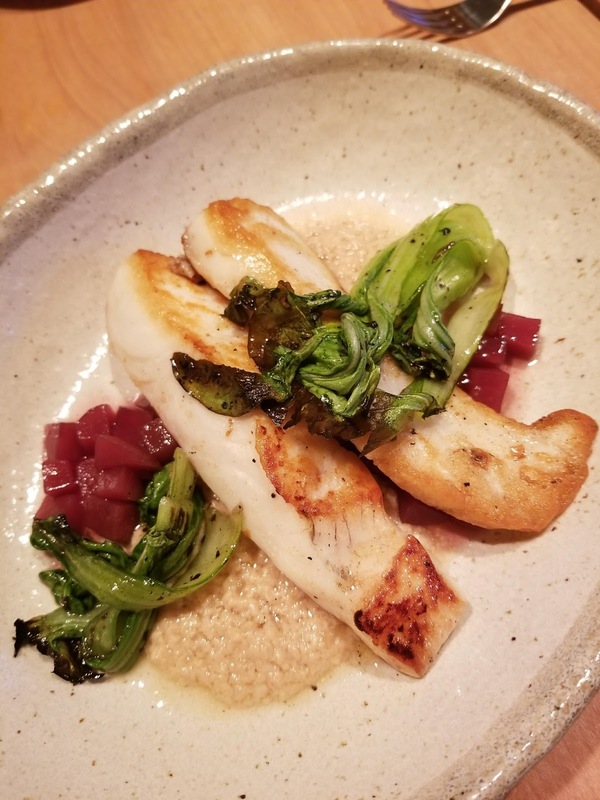 3) Halibut over kasu "risotto", grilled bok choy, and poached pears: Another well prepared dish with a mix of Asian flavors and fun textures. The halibut was cooked perfectly and placed over a kasu (sake lees sort of like fermented rice bits) that was mild in flavor and worked so well with the sweet poached pears. The grilled bok choy was a nice touch of flavor and texture and the first time I've had bok choy grilled! That's definitely a way I want to try to cook bok choy next time. 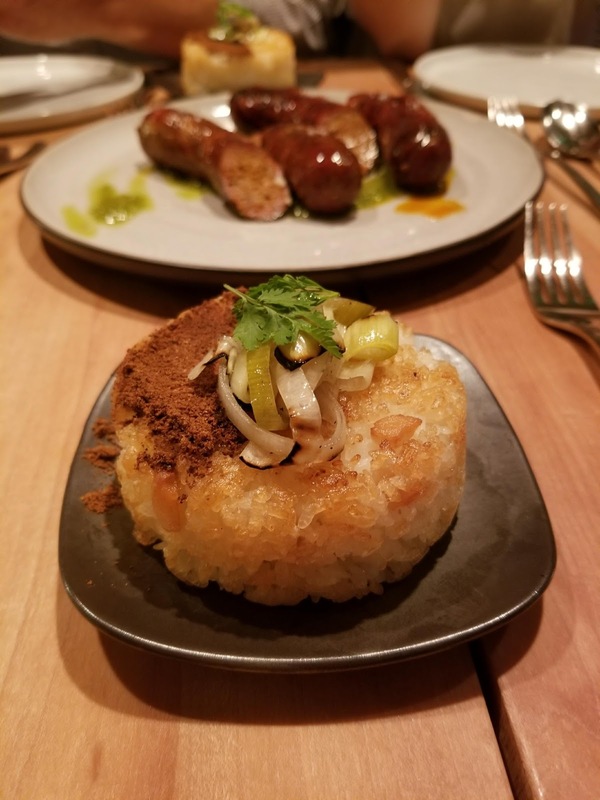 4) Crispy rice with pork belly bits and black bean sprinkles: If you've ever gone to Chinese or Korean restaurants where they bake the rice in a stone pot and you wait for the crispy rice at the bottom, that is what this dish basically is, but all the way around! Aka, the best part of the rice. It was paired with the dish below but had some bits of pork belly inside along with a black bean sprinkle and pickled veggies on top. 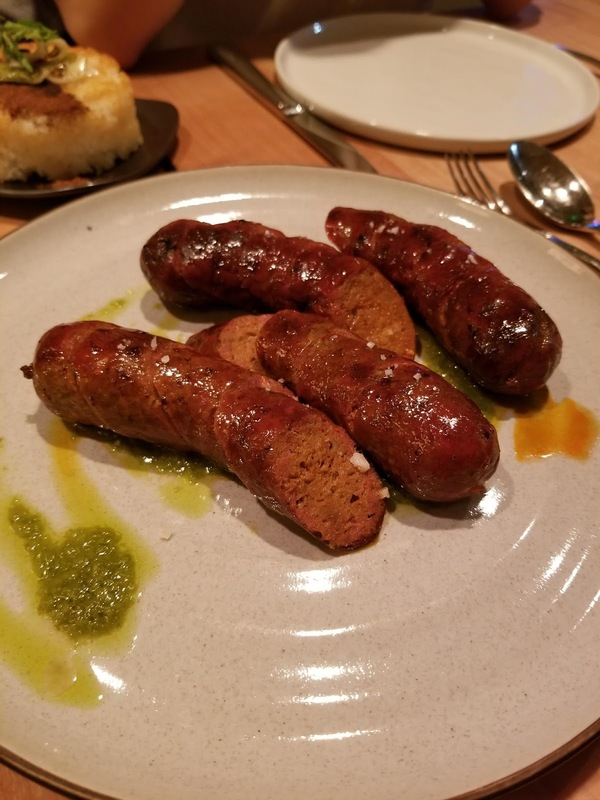 5) Mole lamb sausage with pickled carrots and beans: The flavor of this lamb sausage was complex as it was mixed with mole, a type of savory chocolate sauce found in traditional Mexican cuisine, but it wasn't over powering. It wasn't gamey at all, which lamb can tend to be, and it had a nice texture to it. It paired well with the crispy rice served above. 6) Pork shoulder with leeks (forgot the dressing/sauce): The above was our last dish and as pork shoulder tends to be, it was a tender cut and prepared well. Pork in general isn't my favorite (unless it's pork belly) so this wasn't a dish I would order myself but I'm glad it was on our tasting or else I would have never tried it. 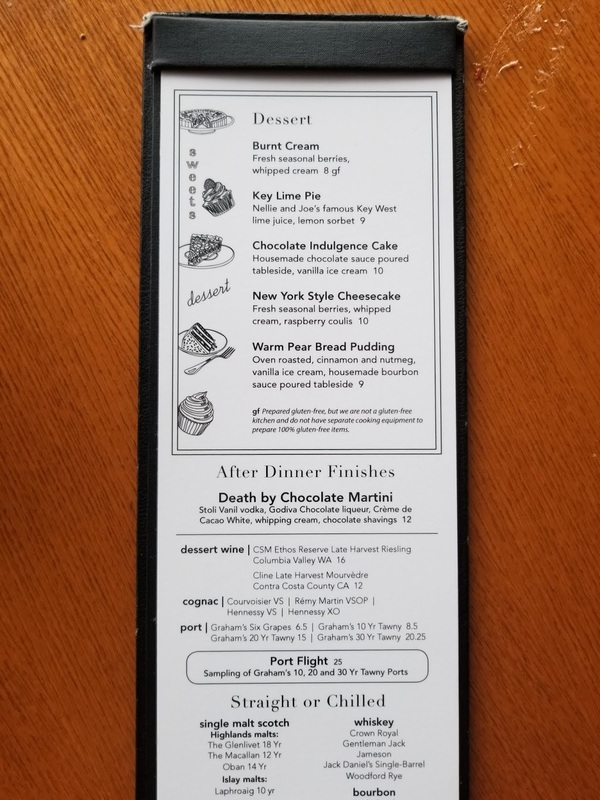 7) Chinese vinegar pudding with pralines and meringue & 8) Peanut butter ice cream and chocolate tarte: The next two dishes were desserts that came at the same time. 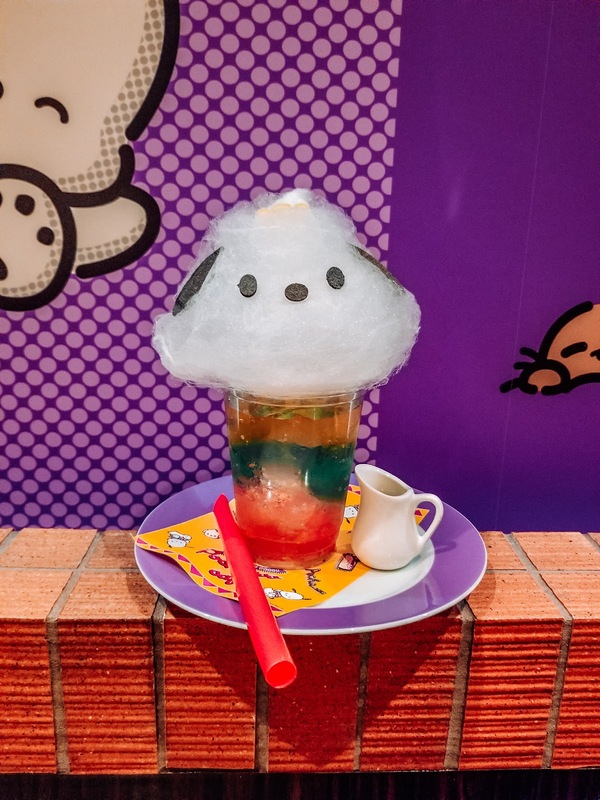 First off, let's talk about the Chinese vinegar pudding - wow wow wow. The flavor was great as you can taste the intensity of the reduction that happened beforehand and how it was not in a jelly form. It wasn't overly strong or sour, just right. 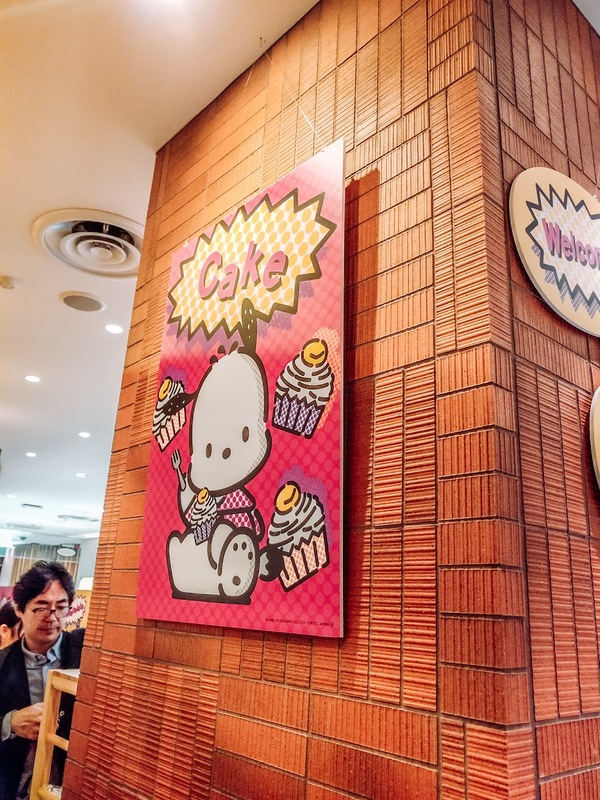 It was a welcoming familiar flavor. The other dessert was a peanut butter ice cream with chocolate and really, you can't go wrong with that combination! 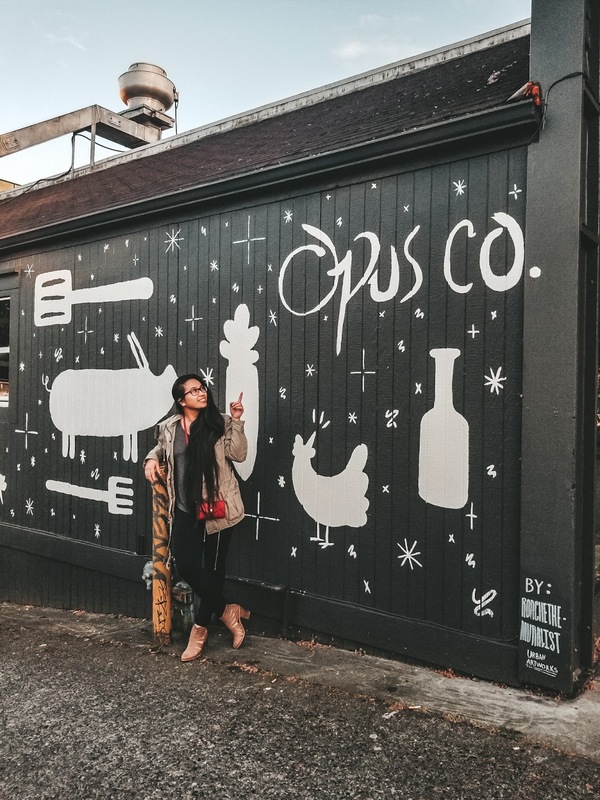 Overall, I had an AMAZING experience and would highly recommend this place, especially for their Opus Feast. 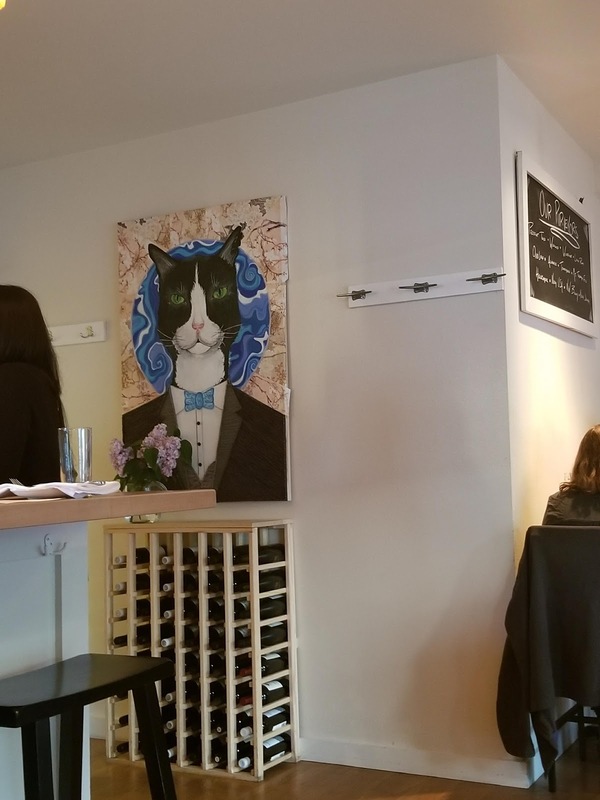 The staff was warm and friendly and the food was amazing (oh yeah and the wine too, of course). 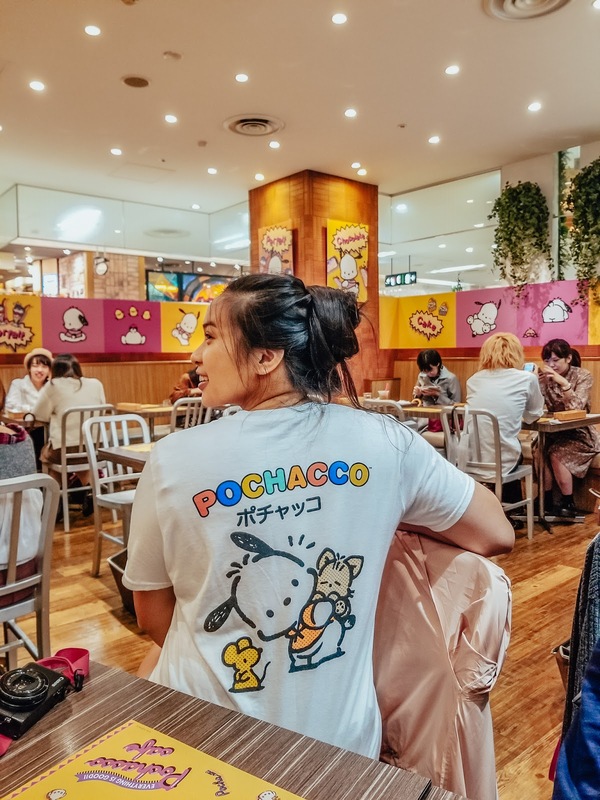 Walking in to a meal may be difficult so I highly recommend RSVP'ing ahead of time, especially for larger groups, though I would say 4 is the max you would want to go with as the place is small. 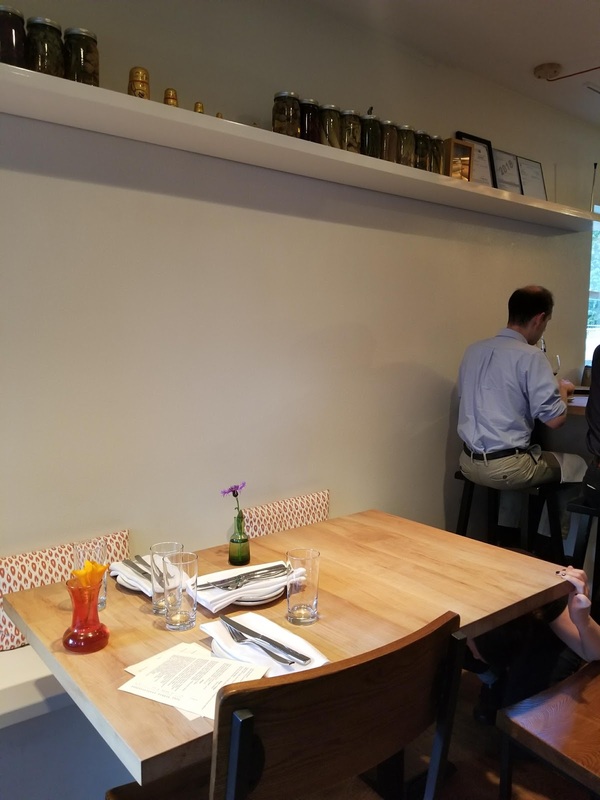 Do you guys enjoy tasting menus? What are your favorite kinds?